this picture has been lost and i will never again feel that same emotion…i suspect that [a] recomposed image will no longer please me in the same way, or with as much force, since it will have had time to make its way to my head, there to crystallize into a perfect image, and the photographic abstraction will happen by itself on the sensitized surface of memory, to be developed and fixed by writing, which i resorted only to free myself of my photographic regret. …so i’m fifteen and a half. it’s on a ferry crossing the mekong river. the image lasts all the way across. there are photographers who are manic beings and photograph constantly, using the camera to mediate life and the experiences that cross the path of their lens. there are writers who do the same thing with words; as they are in the midst of an event–either mundane or profound–there is always something in them thinking of the most perfect way to describe the thing they’re experiencing that very moment, which word or phrase is not too heavy or too frivolous, in short, the sentence that goldilocks ate. for these writers and photographers alike, experiences somehow only become valid and real once described, and whether in words or in a cropped field of vision, experience and event are complete when treated and translated through their respective media. and for these types, there are always two experiences being had: the actual event that is happening that very moment, and the description/transcription of that event. to live with this duality is nearly an unconscious thing, it becomes second-nature, a non-event, and indeed is a more difficult thing to unlearn to do than to pick up and begin doing. i happen to practice a very different method of both of these things. and the manic version (of which i have an internalized voice of one that lives within me) scolds me and calls it laziness, but i only think that this is partially true. the other method of experience and description views the manic’s method as anathema. the rapid fire of the shutter being able to capture moments at 1/3200th of a second, or in eight frames a second, becomes a vulgarity to both time, memory and experience itself. when one is already thinking of how something will look or sound or read before one has even looked or tasted or felt is to have a record and not a memory, a version without meaning. i read, listen and look widely. i believe instead that to experience anything, it must be felt and wrung through body and mind utterly before thinking about thinking on it. only when the moment has passed will i allow myself another new moment, the one that shuts me in a room alone and quiet to write about it. of course, not carrying pen or camera around everywhere does leave you without the tools to sometimes finish seeing the thing you were open to and only you could see, or to remember all the details of something after the moment has passed. every writer or photographer, whatever their persuasion (and an infinite variety exist between the two points i have described above), know and have felt this. the lost moment. the perfect image gone forever, the beginnings of the great story lost to the overcrowded mind. i have been meditating lately on these lost moments, and wondering how they affect both memory and experience. are we nostalgic for these images lost to us, forever shifting details in our memory? are they made more perfect as we recount or remember them precisely for their not becoming document, and thus, concrete thing? are these imperfect moments more precise because of their changeable ambiguity? what is that ache we feel for what we did not encapsulate, this different memory we have, different from the kinds with contour and light and shade, made somehow unchangeable because of their definiteness, their recorded existence? 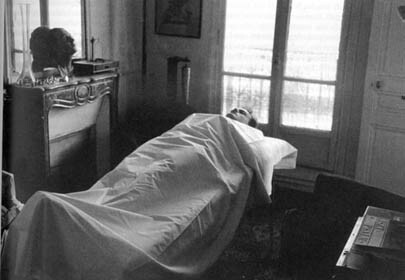 i have come and come again to herv√© guibert, roland barthes and marguerite duras, who all have much to say about memory, regret, experience and selfhood. i have visited them each differently for different reasons, but as i write here now i imagine a situation where they are all three in the same room together. i don’t imagine they all get along. but they are all sympathetic to one another. all of them go to great effort to articulate a particular lost moment, and what losing that moment does to their memory of it, and of themselves. if i had photographed it at once, and if the picture had turned out “well” (that is, faithful to the memory of my emotion), it would have become mine. but the act of photographing it would have obliterated all memory of the emotion, for photography envelops things and causes forgetfulness, whereas writing, which it can only hinder, is a melancholy act, and the image would have been “returned” to me as a photograph, as an estranged object that would bear my name and that i could take credit for, but that would always remain foreign to me (like a once familiar object to an amnesiac). guibert asserts that if he had been able to capture the moment on film, he would have “owned” it, and it would have “become” his. added to the catalog of images, it would have been a pleasing visual arrangement, “the perfect image,” but, he admits, he would have not had the memory of the event had he not conjured it through writing, through trying to relive the image in his mind once deprived the relic of the photograph. if photography provides the visual “proof” that we were there, and we saw what is depicted, does writing give us back our memory of the event lived, or at least a version that cannot be alluded to in images? if the photograph is evidential, is writing the emotional? roland barthes was not a photographer, nor even a maker-of-things, but he accomplished in his writing what every good philosopher aspires to in their thinking: he began to understand something of the thing itself, and for barthes that thing would be how images and the visual function, and how this intersects and necessarily affects the personal. in camera lucida, he spends a good portion of time parsing out both general assumptions concerning photography as well as his own very individual response to a highly charged and personal photograph which he will describe in great detail but in the end, refuse to show his reader. 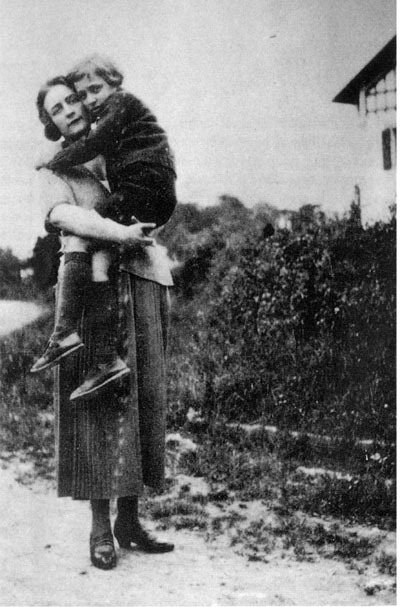 the photograph is one of his mother, referred to simply as “the winter garden photograph,” and she has just recently died and barthes is in mourning. he is scouring the image reservoir for an image, the image, that will give back some essential quality of this much-loved person to him, that will show him something that will signify as “real” visually for something that is felt “real” emotionally. but it is a frustrating task. because photography is slippery. because memory second-guesses and doubts the veracity given in images. because what we see does not always correlate to what we remember, and barthes is wary of images becoming memory. he wants to reclaim his memory from the visual repertoire, not have it given him from it. while looking for the image that will inform memory, he writes, “…a photograph is always invisible: it is not it that we see.” what he is searching for, instead, is something which causes a disturbance, something that will prick memory, wound it and him in some way. it is in this essay that he names the idea that became the namesake for this site, where he calls “punctum” that detail in a photograph which renders an image subjective and particular, that which pierces through what we already think we know. he is in his mother’s apartment looking for a photograph. he does not know the photograph he is looking for, this is not a searching for something he has once seen and needs to recover. he will know what he is looking for once he has found it. lost in the depths of the winter garden photograph, my mother’s face is vague, faded. in a first impulse, i exclaimed: “there she is! she’s really there! at last, there she is!” now i claim to know–why, in what she consists. i want to outline the face loved by thought, to make it into the unique field of an intense observation, i want to enlarge the is face in order to see it better, to understand it better, to know its truth. i believe that by enlarging the detail, i will finally reach my mother’s very being. guibert, barthes and duras were all contemporaries of one another. guibert and barthes were social with one another (and guibert inhabited the same building in paris as another french luminary, michel foucault); barthes and duras sparred about one another in print; duras was arguably the most famous. her most famous novel, the lover, tells the semi-autobiographical story about the writer’s first love affair as as a fifteen-year-old girl, with an older chinese aristocrat, while growing up in french indochina. the book is sparse, selfish and spectacle all at once, and written in a signature second-person past conditional tense for which duras had become known. 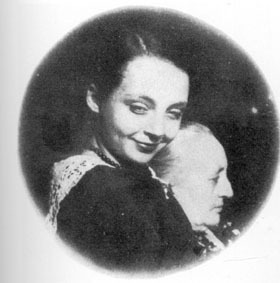 duras was also a film director, and her visual sense in that media spills over in descriptions in her novels; scenes are succinctly detailed but richly so, and images are described as complete visual realizations. i found out some time ago that the working title for this novel was originally la photograph absolu. in interviews she has said that the origins of the novel began as a commission, when she was asked to comment on a family photo album. inspired by the images, she began writing the novel. but one image she returned to, as if in refrain. significant because it is the only image that does not exist, the image of herself before she would become the self familiar to her for the rest of her life. it is an image of herself on the mekong ferry, the day she would meet the man who would become her first lover. i think it was during this journey that the image became detached, removed from all the rest. it might have existed, a photograph might have been taken, just like any other, somewhere else, in other circumstances. but it wasn’t. the subject was too slight. who would have thought of such a thing? the photograph could only have been taken if someone could have known in advance how important it was to be in my life, that event, the crossing of the river. but while it was happening, no one knew of its existence. except god. and that’s why–it couldn’t have been otherwise–the image doesn’t exist. it was omitted. forgotten. it never was detached or removed from all the rest. and it’s to this, this failure to have been created, that the image owes its virtue: the virtue of representing, of being the creator of, an absolute. i remain struck by her insistence that this image is important because it never became “detached,” which i take to mean singled out and remembered as a photograph, a representation of an event instead of something which alludes to a specific memory. psychic event versus actual one. that the image of the image becomes more important than the fact of the image itself. not only is the photograph never, in essence, a memory, but it actually blocks memory, quickly becomes counter-memory…the photograph is violent: not because it shows violent things, but because on each occasion it fills the sight by force, and because in it nothing can be refused or transformed.